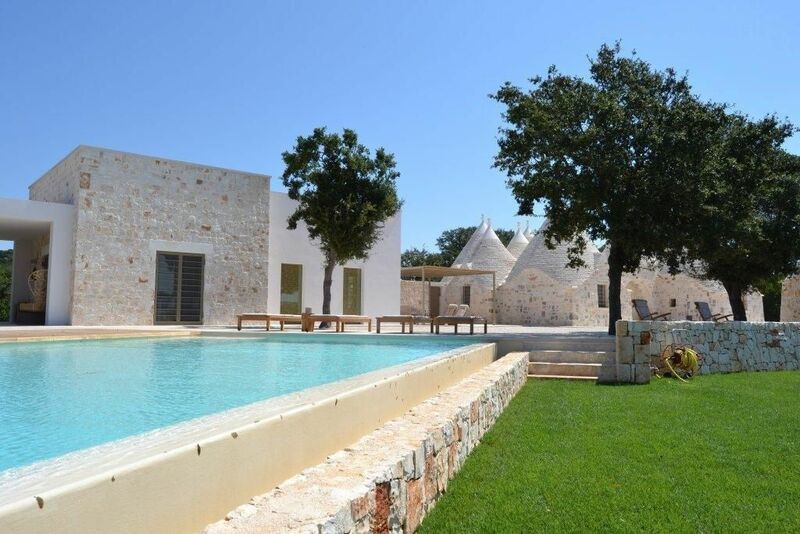 Trullo San Giovanni is what holiday dreams are made of. Where better to celebrate an important anniversary or create new memories with family and friends than in a setting generously choreographed to rejoice in salubrious style. 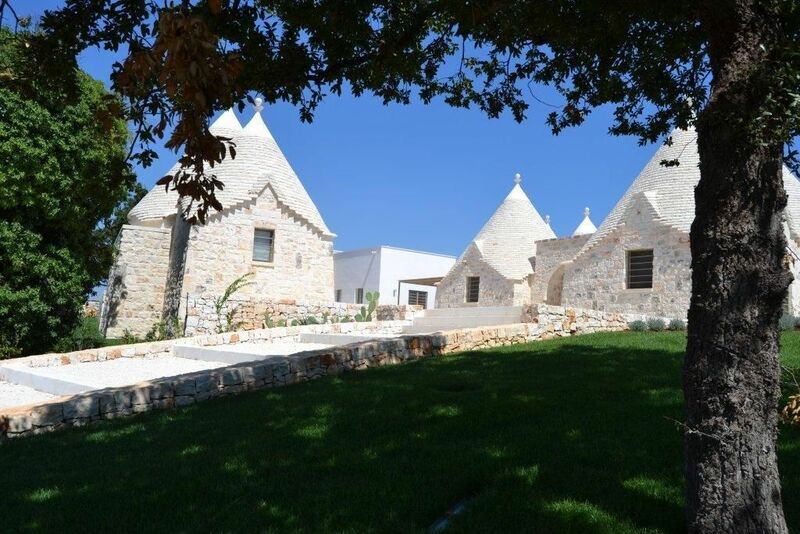 The original trulli cones date back some 150 years and have been restored under the attentive eye of the Milanese owners who have added a few modern modifications to enable their guests to experience life in a trullo whilst being utterly spoilt by its structural magnificence and interior elegance. 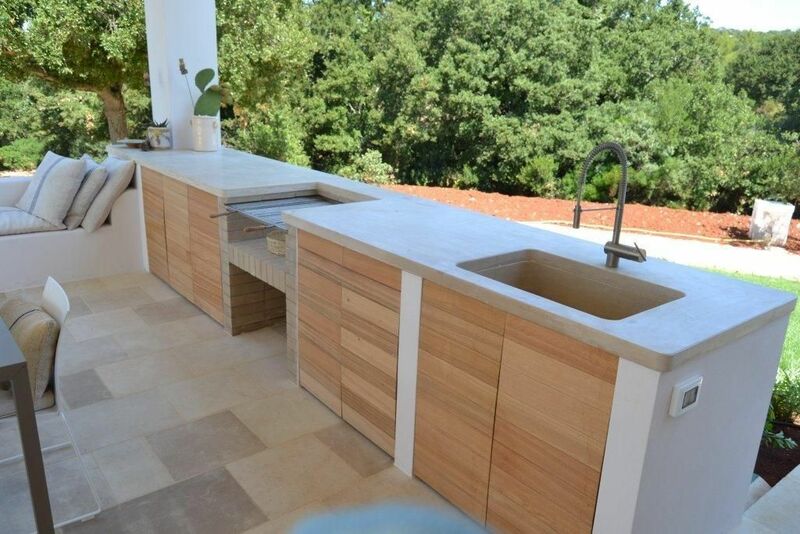 There is an infinity edge pool anchored on the hillside with teak deck surrounds and an impressive covered veranda furnished with dining facilities for all the family to share in the preparations of grilled food over a barbecue. 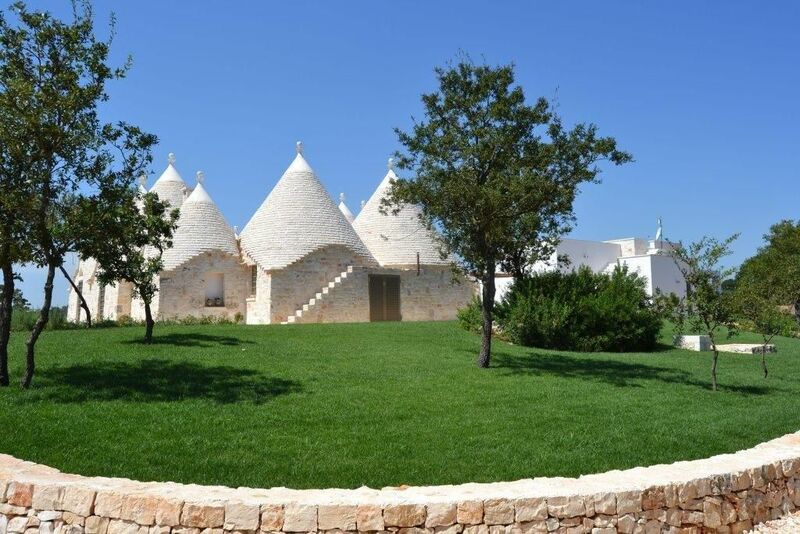 Trullo San Giovanni would suit couples, a young family with children travelling or a group of friends travelling together to explore the mysteries of the southern tip of Italy. 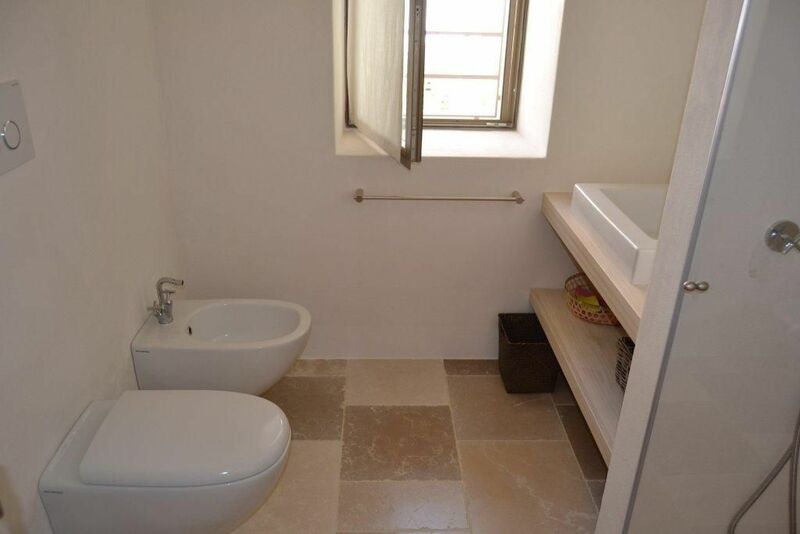 With one double and three twin rooms (can be double on request) plus four bathrooms there is a mix to suit all needs. 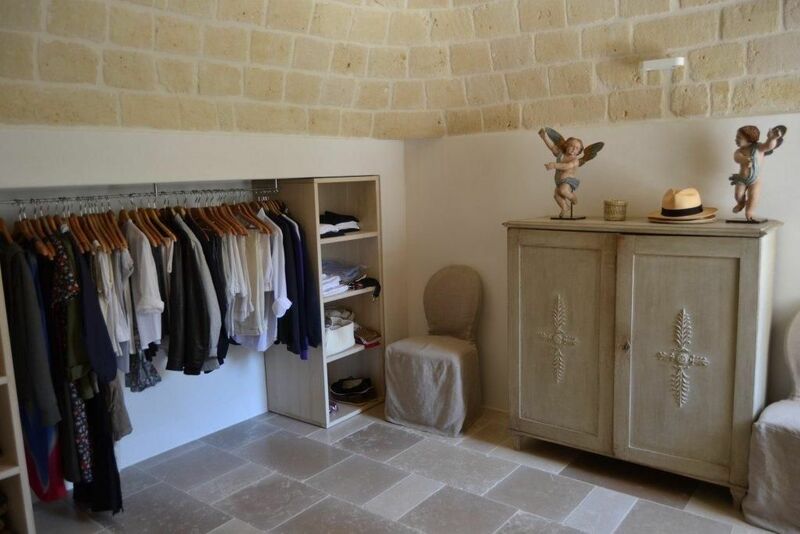 The propert doesn't have air-con but the Trullo's were traditionally built to keep cool naturally. Fans are available on request if required. 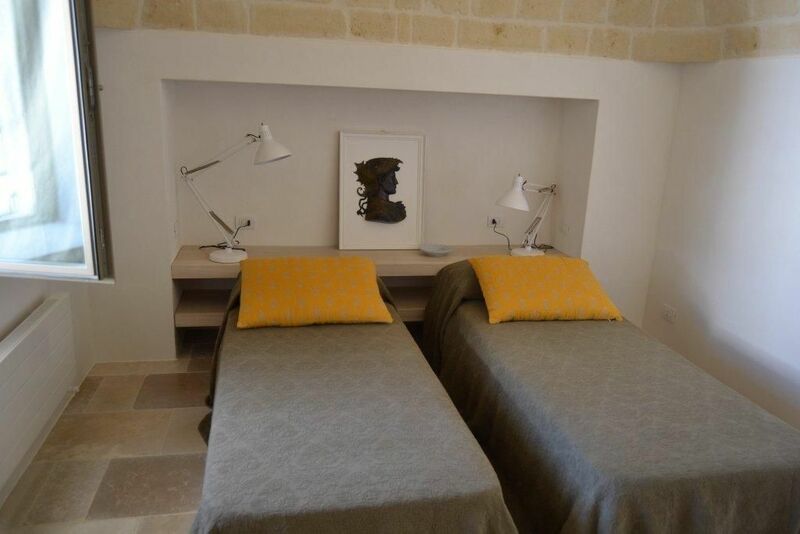 The master bedroom occupyies three trulli inclusive of private ensuite and dressing room. 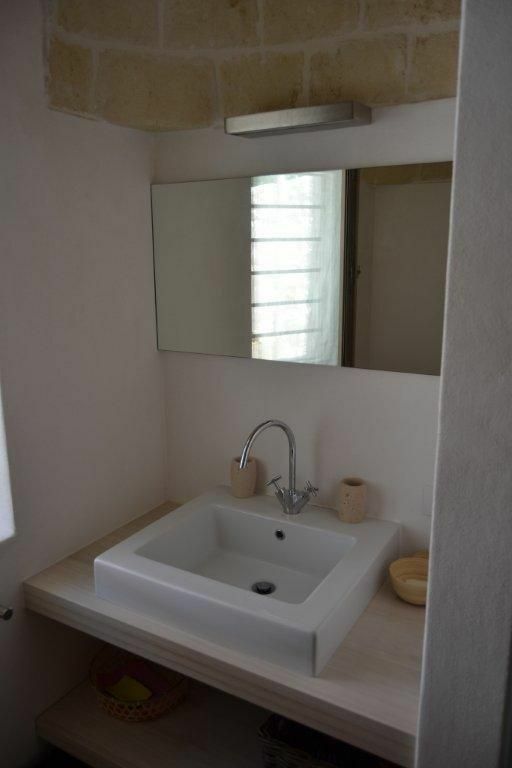 Two further twins share a bathroom within the same complex. 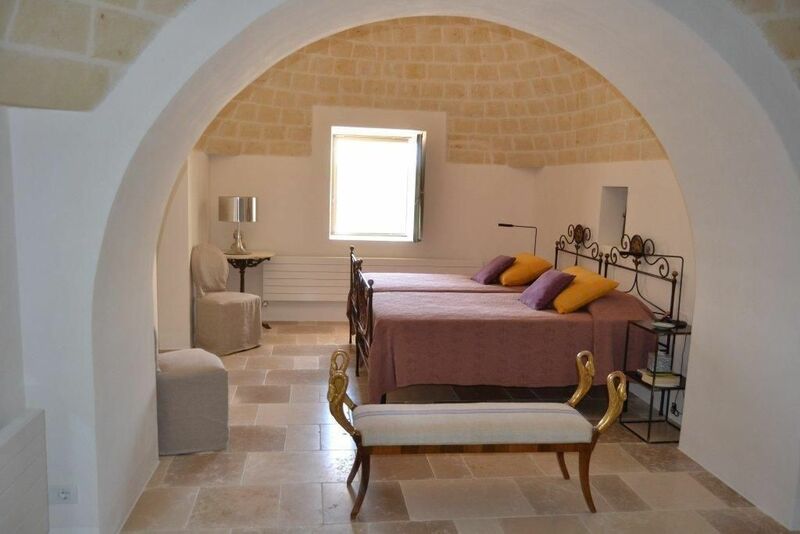 Opposite the main trulli structure there is a private self contained trullo/studio ideal for a couple or teenagers needing distance from the main holiday group. 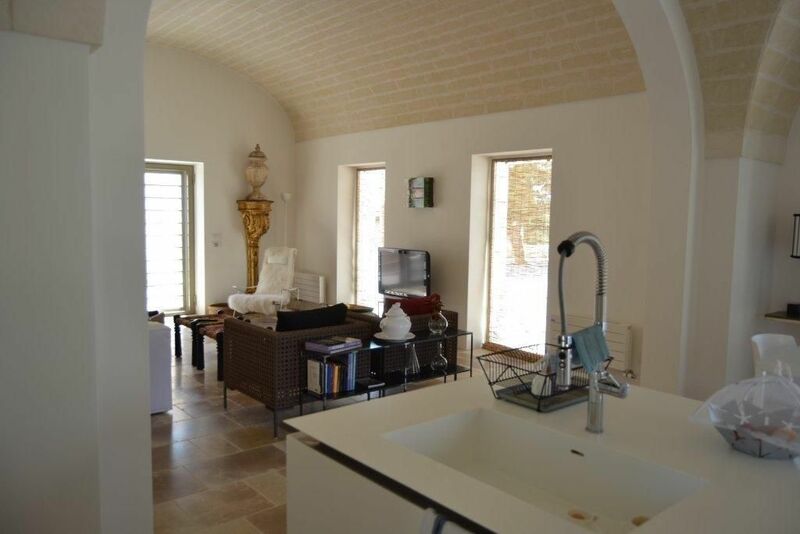 The living area, naturally well lit, is a separated and non-communicating lamia with high barrel vaulted ceilings. The high-tech kitchen is central to the dining area with ample seating for 6-8 people adjacent to the open lounge with cosy ambience. 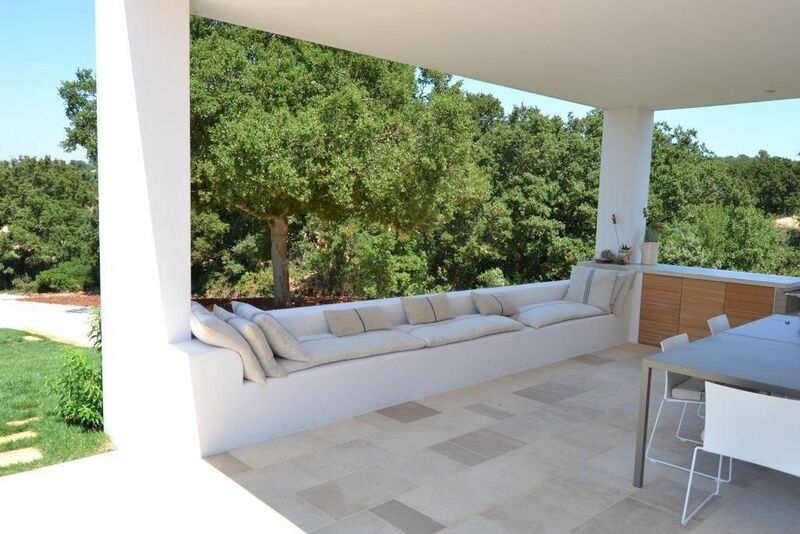 The grounds are lawned encircling the main structure before the 10,000 square metres of surrounding land becomes dedicated to agricultural fields of oak and olive trees. 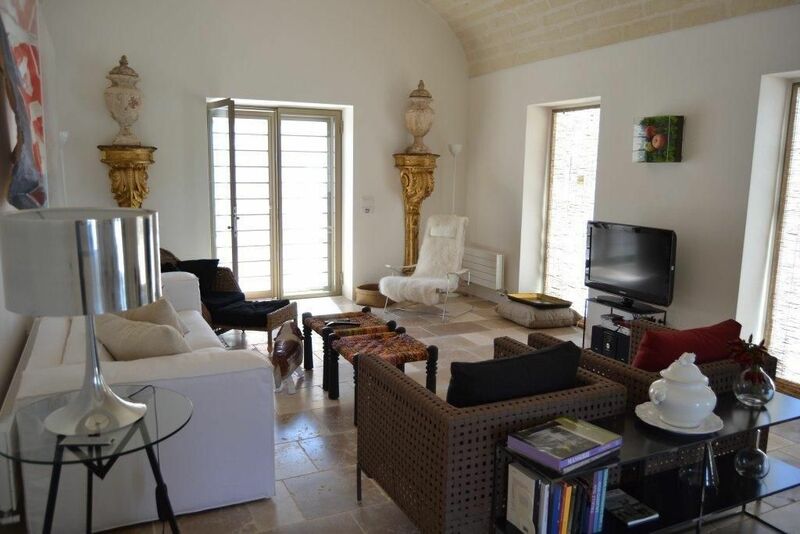 The panorama has been preserved with pleasurable distant views across the Valle d’Itria to the front of the property with a contrasting wild woodland to the rear. 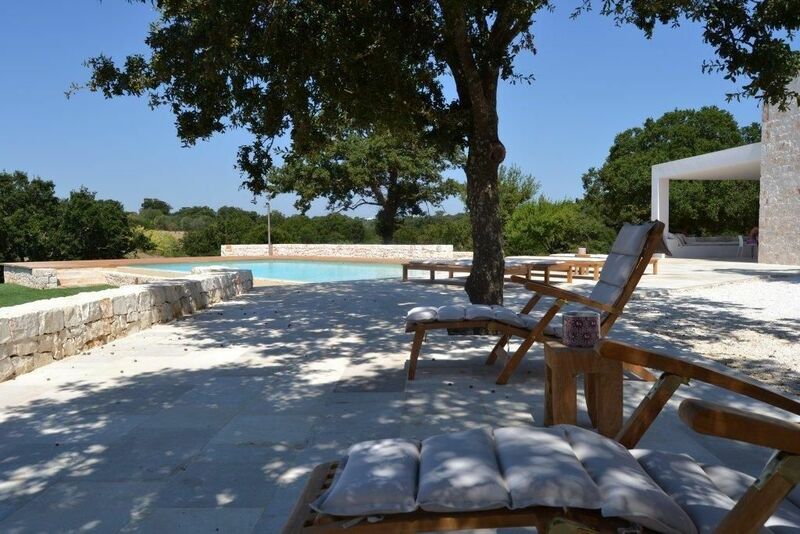 The swimming pool is 12 x 5 metre infinity pool with a depth of maximum metres open from the beginning of the summer season through to the end of September. Security deposit required of £750 to be paid with the balance and returned within 48 hours of departure excluding any damage expenses. 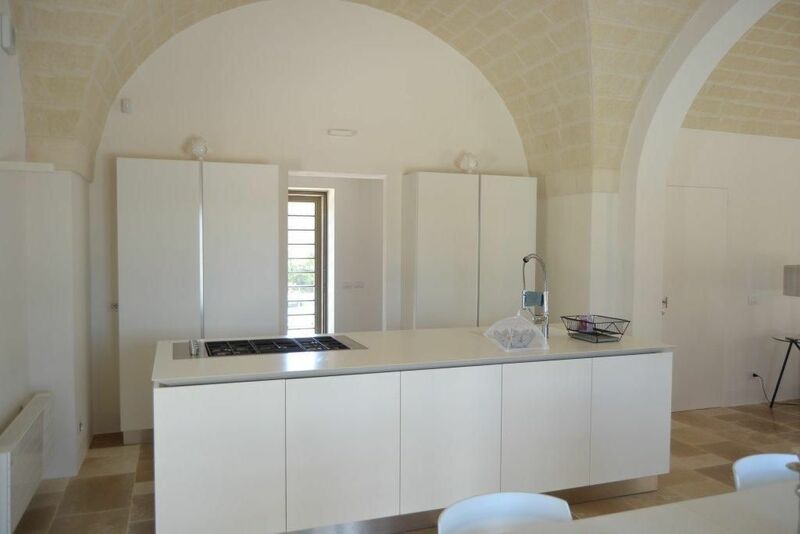 Ostuni – the bright town with white slaked limestone. 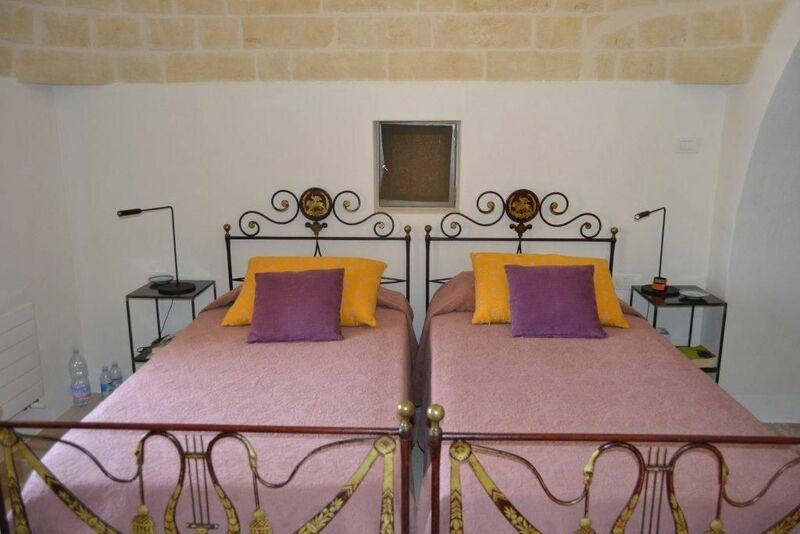 The town is surrounded by a medieval fortress wall, from which you can admire a breathtaking panorama overlooking a countryside with endless olive trees and the Adriatic sea that meets the crystal-clear sky on the horizon. The lively and picturesque old town is built on top of the hill and you’re welcome to wander through a maze of narrow, winding streets, where everything is incredibly clean and everywhere is a blinding sun! The old town is dominated by the Cathedral, a blend of Romanesque, Gothic and Venetian, standing as a crown at the very top of the hill! • The Feast of Sant’Oronzo, the patron Saint of the town. It takes place in August from 25th to 27th. Among the many events the most striking is the “Ride”, where the statue of the Saint is escorted in a procession by a group of knights in a red costume getting on sumptuously caparisoned horses.